Central America is an amazing part of the world to travel. It’s the home of the ancient Mayan civilization and many vibrant cultures, it’s filled with rainforests and lava-spewing volcanoes, and you can chill out on amazing beaches all along the Carribean and Pacific coasts. Many parts of Central America are very cheap to travel in, too. But there are also some big differences between all the countries. I find the contrast between countries in Central America can be a little starker than in other regions such as Southeast Asia. In Asia, you can go pretty much anywhere and be guaranteed a great time. In Central America, it can be a bit more hit and miss. Or at least, that was my subjective impression. For instance, I got very excited about Guatemala, but then neighbouring Honduras felt like a bit of a dud. The differing cost of travel and security situation might have something to do with this, too. I think it helps a lot to study each destination so that you can get the best the region has to offer. If you go to the right places, you will have an absolutely incredible time travelling through Central America. For what it’s worth, I thought I’d share my quick take on each country in Central America, as well as tips on some good routes to follow. TIP: For detailed advice on trip preparation including route planning, budgeting, vaccinations, safety, and more, get my in-depth guide. A great thing about Central America is that it’s relatively compact. You can move around fairly quickly and can visit a lot of countries in one trip. The main artery running through Central America is the Pan-American Highway. This road goes along the Pacific coast all the way from the north of Mexico down to Panama City. You’ll find that the Pacific side in Central America often has the largest population centres and is easiest to get around in. The Carribean sides of Honduras, Nicaragua, Costa Rica, and Panama tend to be a bit more remote and less developed. This can also, at times, make them more interesting parts to explore; for example, consider Tortuguero National Park in Costa Rica, or Bluefields and the Corn Islands in Nicaragua. Since they’re away from the main infrastructure, these places can feel wilder and more remote. This route is a great option if you want to do it all and have at least 6 to 8 weeks available, but having more time is always good. 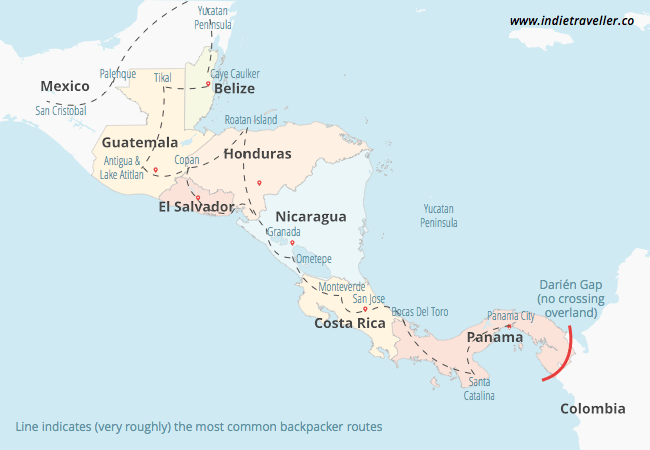 This informal backpacker trail starts in Mexico’s Yucatan Peninsula, then goes down Belize and Guatemala, and then through the rest of the countries until reaching and ending in Panama City. Parts of this route follow the Pan-American Highway along the Pacific coast. I’ve indicated on the map below how many people travel through Central America, though there are of course countless possible routes — all depending on your specific interests and your available time. If you’re backpacking and staying in hostels, you’ll be happy to know that there are quite a few other travellers going this way — and plenty of cheap hostels to stay at, too. If you’re going solo, you’ll be sure to meet other travellers along the Gringo Trail as well, if meeting travellers is what you want. It’s also possible to do this route the other way around. You can start in Panama City and then work your way up. Either way works, though most travellers seem to start in Mexico. I find that Panama City is a bit dull and business-like, though I must admit got that impression after already travelling through all of Central America, so perhaps by then I was already used to the more exotic elements. I’ll admit that Panama City is quite an orderly and nice city, so it’s an easy place to get your feet wet before truly plunging in. Then again, I personally think southeast Mexico and Guatemala are really awesome, so starting there will give you more epic stuff straight away. Mexico, Panama, and Costa Rica are some of the more care-free countries. They are among the safest and have some of the best public transportation. Guatemala, El Salvador, and Honduras are a bit rougher around the edges, and sometimes require more patience to get from A to B. But I also think these countries can be the most fun. Things are a bit more basic there, making it feel a bit more adventurous. The ‘chicken buses’, or repurposed and colourfully painted US school buses, are most commonly seen in these countries, and they’re a slow albeit fun and local way to get around. Some spots along the gringo trail developed into backpacker party places, especially the Bay Islands in Honduras, San Juan del Sur in Nicaragua, and Bocas del Toro in Panama. You’ll find tons of bars, bar crawls, surf hostels, and all sorts of entertainment in these places. Whether you wish to seek out or avoid such places is up to you, of course. I mentioned that this Central America itinerary will take you at least 6 weeks. But, ideally, you should have around 3 months. This will give you a lot more time to enjoy each place. You could also start your trip in Mexico City, and travel through the Oaxaca, Chiapas and Yucatan regions of Mexico before diving into Belize. This is a great slice of Central America and my personal recommendation if you have just a couple of weeks. These two countries combine very well in a circular route and really pack a great punch. 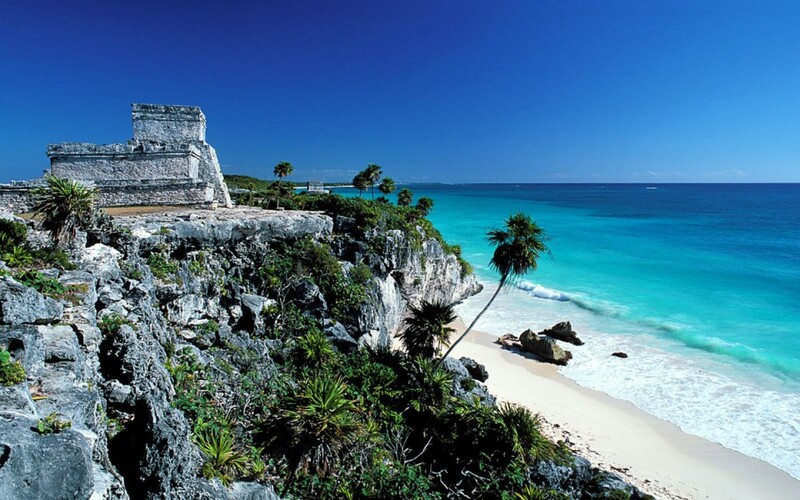 Southeast Mexico will give you some great beach destinations, Mayan ruins, mountains, and jungles. It’s an amazing and easy part of the world to travel and will give you a ton of variety. Guatemala will give you a great adventure-filled addition. You can visit the epic Mayan temples of Tikal (easily the best and biggest in the region) and the stunning volcano lake of Atitlan. To do this route through Mexico and Guatemala, you’ll need about 2 to 3 weeks at a minimum, but more is always better. Another great idea for a short trip of a week or two is to start in Costa Rica, famed for its wildlife and ecotourism, and add some Nicaragua. Most of the sights in Nicaragua are in the southwest of the country, near the Costa Rican border, making this a pretty convenient combo. Nicaragua is way cheaper than Costa Rica, so it can make your trip overall a lot more affordable. Lately, there’s been some political unrest in Nicaragua, so be sure to check the current situation before going. If you’re flying to Central America, then the most common entry points (with the most direct flights) are Mexico City, Cancun, San Jose (Costa Rica), and Panama City. If you’re flying in from Europe or somewhere else far away, you might want to check as well if there are connecting flights through Miami International Airport or the nearby Fort Lauderdale Airport. Florida can be a great springboard into the region. The budget airline Spirit Airlines also operates various services from there. Unfortunately, there aren’t many budget airlines operating within Central America. Sometimes the cheapest flight connection from, say, Guatemala City to San Jose might actually go via the United States! 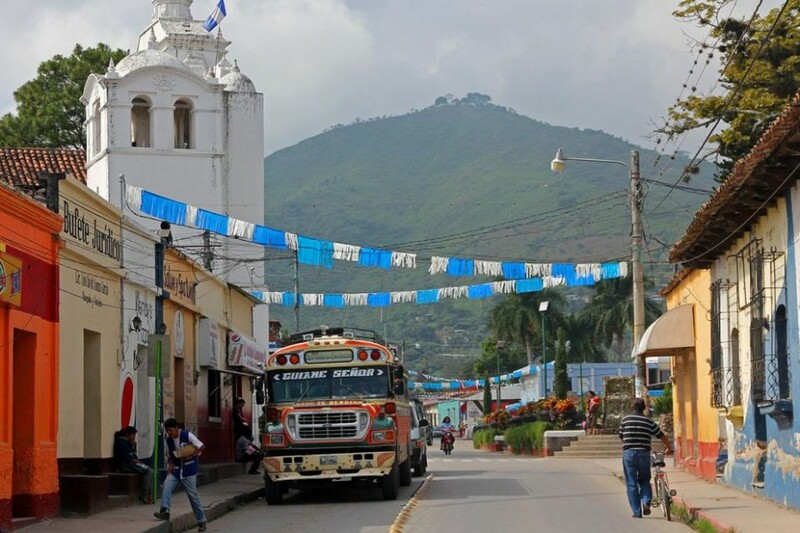 Once you’re in Central America, it often makes by far the most sense to travel overland by bus. Onward to South America: if you reach Panama and wish to continue your journey to South America, keep in mind that this is not possible overland! There’s a huge stretch of impenetrable (and dangerous) jungle here called the Darien Gap. There are no roads at all through the Darien Gap so you will either have to fly or sail around. I can much recommend sailing between Panama and Colombia. Many captains operate private services taking travellers to and from Cartagena. It’s a wonderful 5-day trip, costs only a bit more than flying, and you’ll get some phenomenal island hopping around the San Blas Islands to boot. Mexico is in North America, but I’m including it here for convenience as many travellers make it a part of their Central America trip, and given the cultural similarities between Mexico and its southern neighbors. I got my first impressions of Mexico while road-tripping from the south to the north, and I was struck by the diversity of the landscapes. In the far south, you can find dense jungles and lush green valleys, the Yucatan peninsula has many wetlands, while it’s mostly vast deserts in the north. The country is huge which intimidated me a bit during my planning stages. The Lonely Planet opened with not just the usual 10 or so “must see” places but with a whopping 40! If Mexico feels like you’re biting off more than you can chew, it helps to focus your trip research on individual states. For example, if you like food and culture, Oaxaca is a great state to look at. Yucatan is more about beaches. As far as the typical backpacker trail goes, it runs mostly through the south-east part of the country. Mexico ends up being a starting point for many Central America backpackers due to cheap flight connections there. You might find some especially inexpensive flights to Cancun, as this is one of Mexico’s biggest holiday resorts, though it’s best not to stay in Cancun for too long if you don’t like hyper-touristy places. If Mexico has you intrigued, be sure to dig into my detailed guide to Mexico. The southeastern parts alone, which are best combined with Central America, can take weeks to cover fully. Exploring Mexico at large can keep you busy for ages. 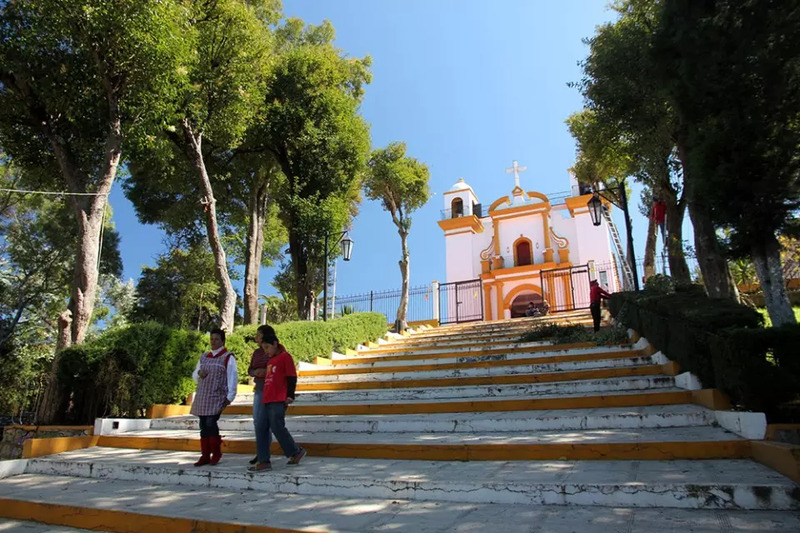 While distances between places in Mexico can be quite long, at least compared to the more compact Central American countries, there is also a seemingly neverending wealth of places to explore. Many backpackers consider this a highlight of Central America. It may be a little rough around the edges, but don’t let that stop you from visiting. Guatemala is not only very cheap to travel in, but it also has some of the most epic landscapes, the most intriguing sights, and more traditional culture. It’s the country that personally gave me the strongest feeling of being on an adventure, subjective as this is. If you’re looking for a great white sand beach then this is the one area where Guatemala, unfortunately, has little to offer. Neighboring Mexico is where you’ll probably want to be for that. Guatemala is more about its dramatic landscapes, which range from dense tropical jungles in the north to deep valleys and high peaks in the southern highlands. 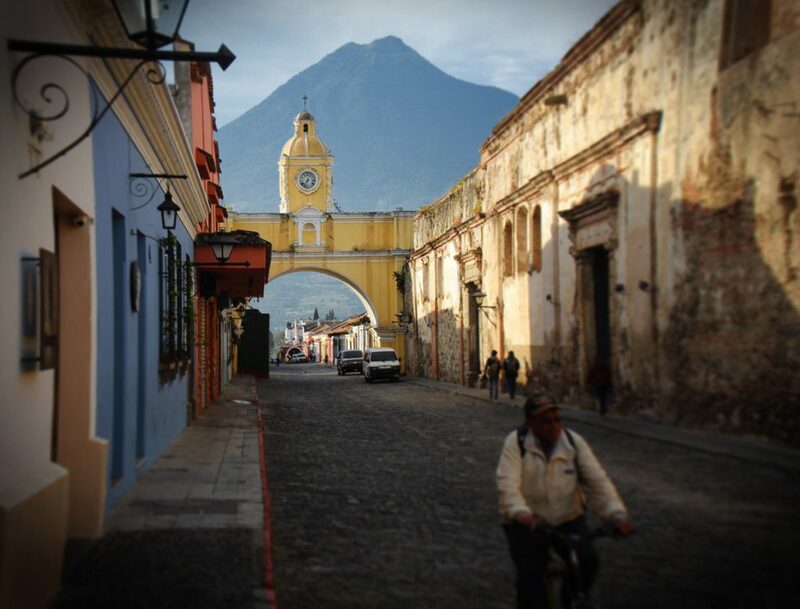 The south is also where you’ll find the beautiful colonial old town of Antigua as well as Lake Atitlan, a stunning lake surrounded by volcanoes. The towns around this lake are excellent for lazying about, with the hippie-esque San Pedro having become a popular backpacker hangout. 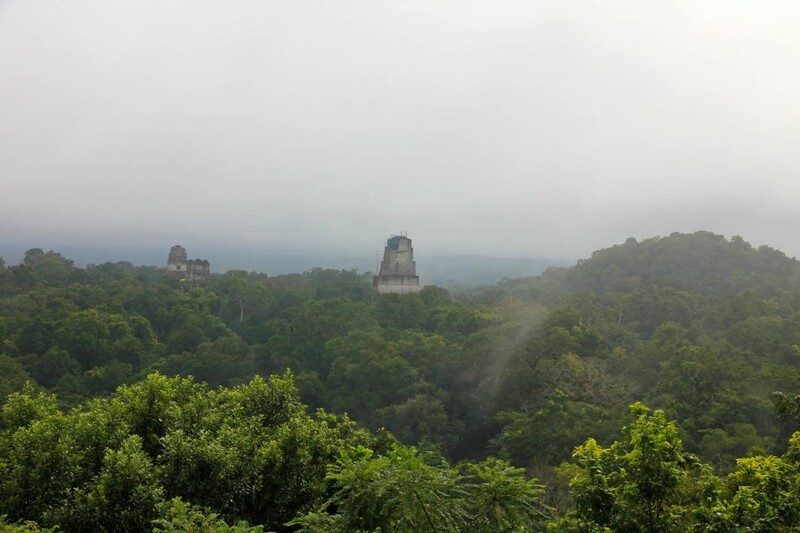 The north of Guatemala is not to be missed either, especially the huge Mayan ruins of Tikal with their impressive temple-top views of the surrounding jungles. Many consider it the best Mayan ruin to visit in all of Central America. The waterfalls of Semuc Champey are also an amazing adventure experience, which makes for a good stop if you’re already travelling between the north and south of the country (but it might not quite be worth going to Semuc Champey if you’ll be returning the same way). Something I find quite interesting about Guatemala is its more traditional culture. You’ll see many locals dressed in colourful garb or carrying produce or materials on their heads. While driving through Guatemala I met a lot of friendly folks working the coffee fields and witnessed some interesting cultural events in the villages. Beware: quite a few backpackers end up staying in Guatemala longer, either to learn Spanish, to volunteer or just to hang out. When I was already 6 countries further down the trail, some people I met earlier were still in Guatemala, unable to leave. I too was enthralled by Guatemala and hope to visit it again sometime. Honduras unfortunately still struggles to escape its bad reputation for safety. It has one of the highest homicide rates in the world, and San Pedro Sula and Tegucigalpa are the no 1 and no 4 most violent cities respectively (not counting cities in war zones). It should be said that gang violence rarely if ever targets tourists, and safety was also never an issue for me personally. You can still navigate a country like this safely as long as you take care, but it did often make me feel more limited in what I could do. 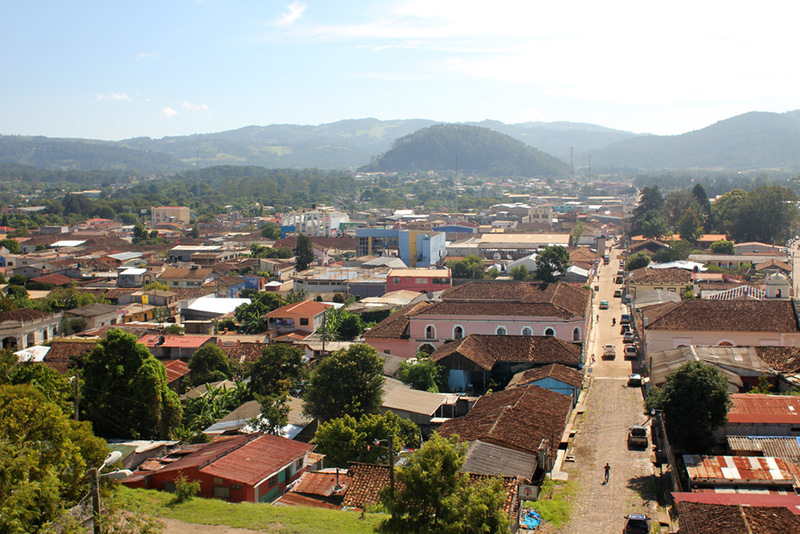 I think as a consequence, it was also harder for me to fall in love with Honduras. The security situation aside, there unfortunately also aren’t a lot of sights or places that really put Honduras on the map. There are essentially two main attractions in Honduras. The first is to go scuba diving on the Bay Islands. It’s probably the cheapest place to learn to scuba dive or to take fun dives anywhere in the region, and from the Honduran coast, you’ll be able to access the second largest reef in the world. During parts of the year, there’s also a good chance of sighting plankton-eating whale sharks (the largest fish in the world), a sighting of which is considered somewhat of a trophy among divers. The other major attraction in Honduras are the Mayan ruins of Copan. This site is smaller and quieter than other ones in Mexico and Guatemala and for that reason can be more appealing. If you come from the south it will scratch that Mayan ruin itch, though if you have already passed through Mexico or Guatemala you might have already had your share of Mayan ruins by the time you get to Copan. It’s always wise to have some good travel insurance before you travel through Central America. You’ll be covered for any medical expenses, theft, personal liability, cancellation, and more, which can give you much peace of mind. I recommend World Nomads, which offer flexible insurance with 24-hour worldwide assistance. Adventurous and outdoors activities are also covered. Keep in mind that most insurance policies don’t cover longer trips! 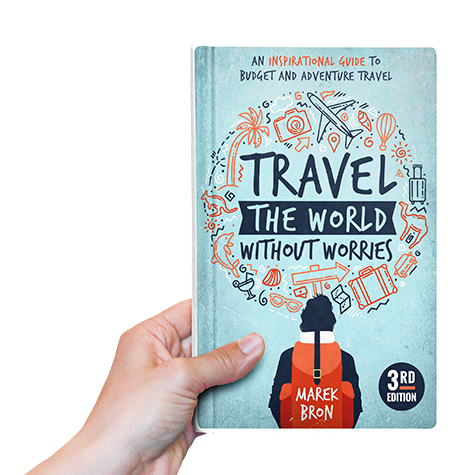 With World Nomads your trip can be as long as you want (and you can even extend your plan while you’re still travelling). 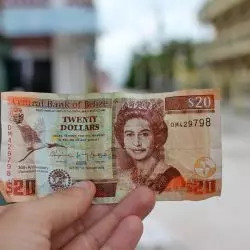 Belize is relatively very expensive and so you’ll catch quite a few low-budget travellers griping about the sudden increase in costs when they get there. 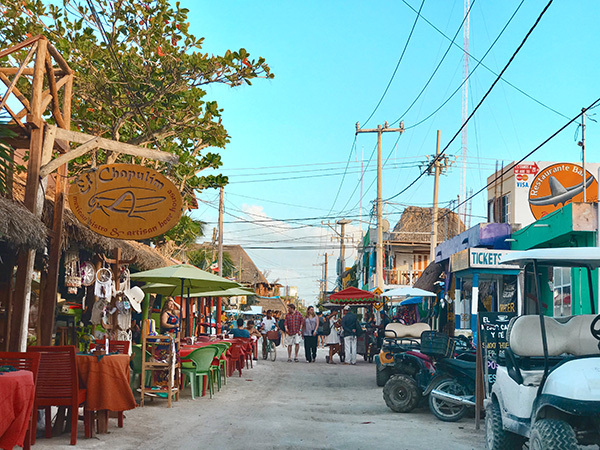 This is also why many budget travellers stay in Belize more briefly, usually on the islands of Caye Caulker, and usually as a waypoint between Mexico and northern Guatemala (either heading south or north). Even if the high cost is putting you off a little, know that Belize is still highly worth visiting. 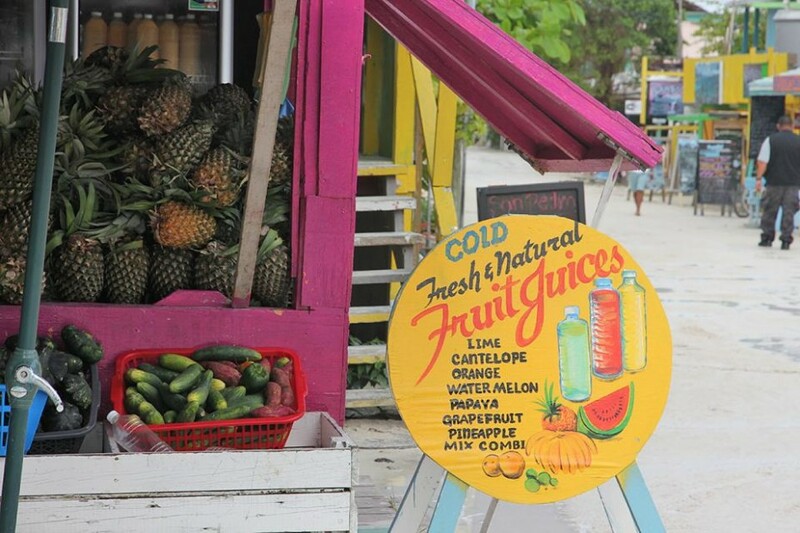 The Caribbean rasta vibe and the creole-style English-speaking locals make for an interesting change of scene from other Spanish-speaking countries. The snorkelling around Caye Caulker is superb (you can reliably see reef sharks, for example), and many divers come here to dive the Great Blue Hole, a giant marine sinkhole off the coast of Belize. 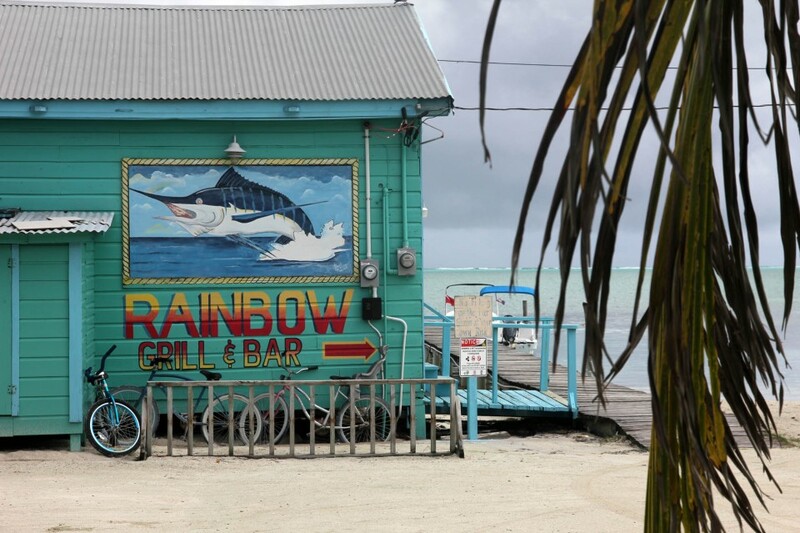 Staying on Caye Caulker can be done sort-of cheaply by being creative, e.g. eating noodle dishes at some of the Chinese-run eateries, making use of 2-for-1 happy hour deals at the bars, staying in dorms, and so on. You probably need to budget about $15 to $20/night for a dorm bed, and at least $30-$40 for the cheapest rooms. If your budget is tight, it’s worth considering if certain tours or activities can be done cheaper in neighbouring countries instead. Travel in Nicaragua can be very cheap—almost as cheap as Southeast Asia in places. I felt that Nicaragua was probably a little underrated by some of the sources I had read before visiting. It’s still an emerging travel destination; to illustrate, many guidebooks for Nicaragua are in their 3rd or 4th edition while those for other countries are in their 10th or 20th. Your dollar will go a long way here and there is much to see and do. Nicaragua also enjoys a better reputation for safety than the likes of Honduras and El Salvador, which can put your mind at ease. Note: Nicaragua became less stable in 2018 with now a great deal of political unrest. Things might be fine, but check advisories before you go. Nicaragua has a number of beach/island destinations, the most advertised being the Corn Islands on the eastern coast (hard to reach overland and so many take a flight there). 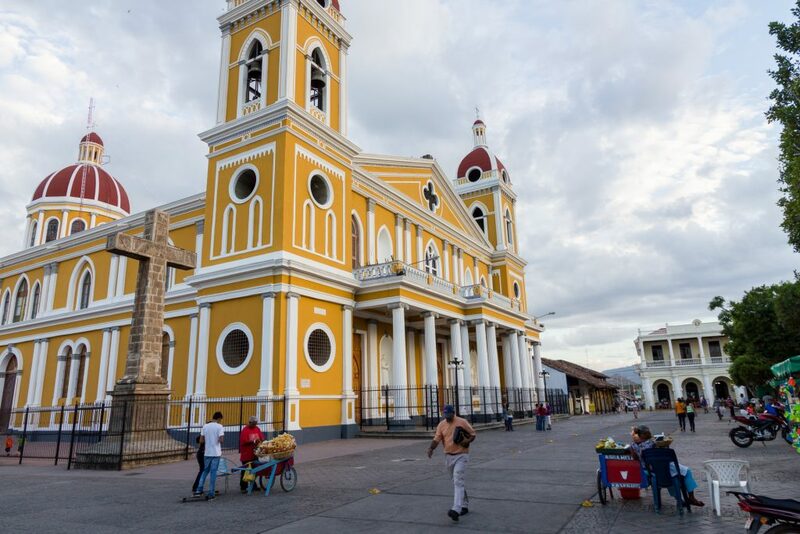 In terms of cultural interest, there are first and foremost the old colonial towns of Leon and Grenada. These places are perhaps not quite as buzzing as the likes of Antigua in Guatemala or Cartagena in Colombia, but are well worth visiting. It struck me that Nicaragua is, in particular, a great place for active travel, with plenty of hiking opportunities (lots of volcanoes to climb), many surfing hot spots, activities like kayaking around Ometepe island, and the adrenaline-raising volcano boarding (as you might have guessed this is sandboarding down an actual volcano, i.e. pretty crazy). Finally, it seems Nicaragua can be more of a backpacker party destination in some places, particularly San Juan Del Sur on the western coast. This is probably due to the low cost of travel as well as the surfer crowds helping to establish a bar scene here. There are a number of notorious Western-owned party hostels in Nicaragua (like Bigfoot, Pacha Mama and Naked Tiger) and a crazy weekly pool party in San Juan that seems to spread its “Sunday Funday” t-shirts like promotional carrier pigeons throughout Central America. I left Costa Rica earlier than planned as I quickly became discouraged by the super high prices there. These prices can be a surprise, particularly as many websites bizarrely list Costa Rica among the cheapest destinations to visit (someone probably put Costa Rica in a listicle somewhere causing lots of others to copy it). In reality, the costs in Costa Rica can be close if not often identical to those in Western developed countries, especially if you’re anywhere around the more visited parts. It’s particularly the tours and activities that cost a lot, in part due to an influx of North American tourists who are in Costa Rica for brief holidays and who have money to spend (and so Costa Ricans know what they can charge). Most of the tours and activities seemed to start at around $50—and since in my case I was travelling with a buddy who could not afford to regularly spend that much, we often had to make difficult choices. Besides the prices of tours, the general cost of living can also sting a little: groceries were comparatively quite expensive and I was a bit miffed to have to pay $15 for a single laundry wash when that had cost mere dollars elsewhere (an unfair comparison surely, but it’s a reality of travelling here). I recommend budgeting probably around $40 a day for accommodation and basic travel cost alone, and anything on top of that is for tours/guides/etc. If you’re wishing to do a lot of tourist activities, you might end up spending $60 – $100 a day. Not to be entirely focused on the cost, I should say the nature in Costa Rica is undeniably beautiful, and the country has put itself on the map as a huge ecotourism destination. Lots of exciting wildlife can be spotted easily if you go with a good guide. 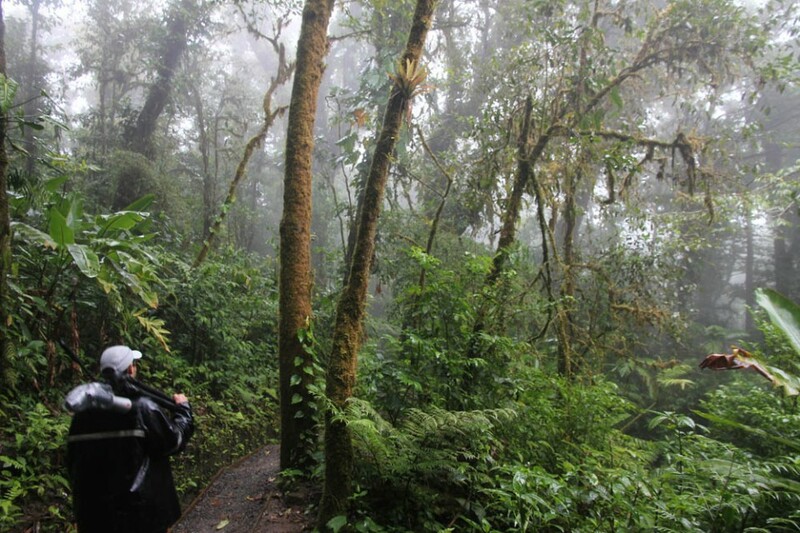 For instance, in the cloud forests of Monte Verde, I saw sloths and coati bears, among many other creatures. The people in Costa Rica are also super friendly, and you’ve got to love their frequently-uttered motto of pura vida (meaning ‘pure life’, kind of their hakuna matata). I probably might have enjoyed Costa Rica more if I was there with the expectation of having to spend more, or if I was with travel companions who could deal with the costs equally well. I’d like to come back sometime and see much more of the country. Most people associate Panama just with its canal (or, heck, tax evasion), but it’s got so much more to offer. I think the culture is maybe not quite as vibrant as in other places in the region (such as Guatemala or Colombia), but the wildlife and nature is simply fantastic. It’s also far less touristy and a little cheaper than Costa Rica. Some people seem to like the capital a lot. It didn’t do much for me, as it feels quite business-focused, but I must admit it’s much safer and more pleasant than pretty much all the other Central American capitals. 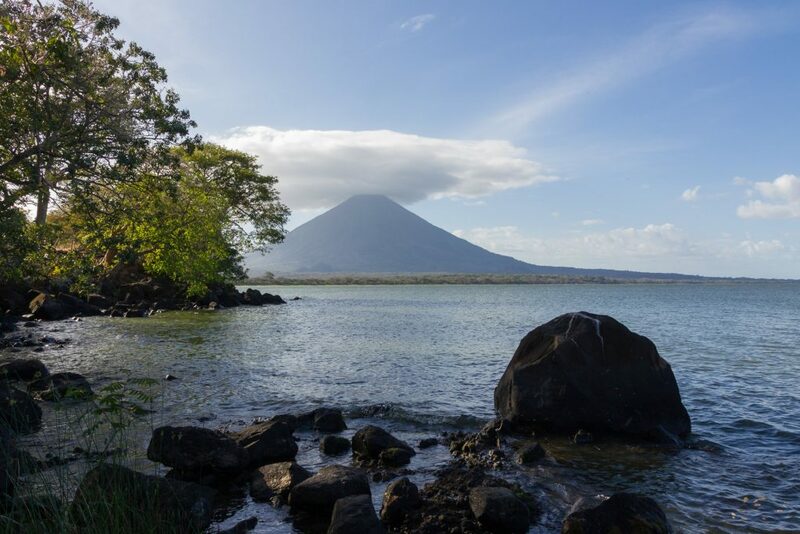 This certainly makes it not a bad place to start your Central America trip, as it will let you ease into things more easily. Boquete and Bocas del Toro are the best-known destinations in Panama. Boquete is Panama’s adventure travel capital where can spend a lot of time hiking, ziplining, rafting, etc. Bocas del Toro is a big party hotspot, often mentioned in the same breath as San Juan del Sur in Nicaragua, or Roatan in Honduras. It has a reputation as a place where backpackers and nomads frequently ‘get stuck’ and stay longer than planned. The main part of Bocas del Toro is super commercial, but if you’re after more peace or authenticity you might want to leave Isla Colon head for the other nearby islands, some of which are barely inhabited. A bit of a hidden gem is the Isla Coiba National Park on the Pacific coast, a sort of Galapagos-like island that’s maintained ancient forests and unique wildlife due to being isolated for so long from the mainland. You can take trips there from the surfer town of Santa Catalina. My favourite part of Panama was easily the San Blas Islands, which I visited while sailing to Colombia. There are no roads connecting Panama and Colombia, so backpackers often book passage on one of many dozens of private yachts that regularly sail to Cartagena. If you decide to go that way, consider making a stop in Portobelo in Panama. It’s a cute town with old fortresses, and many yachts leave from there. Panama isn’t maybe as epic as Guatemala or as cheap as Nicaragua, but it’s definitely not without its charms and not a country to rush through. And as the last point on my Central America itinerary, sailing around San Blas certainly ended the journey with a bang. Note: El Salvador excluded only for reason of me not having visited. It’s on the list for next time! We’ve just begun planning our first backpacking trip – just said I’d drop a ‘thank you’ note for all the information above, it’s a fantastic starting point. Best of luck with your future travels! I appreciate your sharing. I also spent a really good time there during my last journey and have a joyful time with my mates. In my point of view it is a perfect place for backpacking. I would love to go there again if I get any chance. I am planning a trip from southern Mexico and planning to fly out of Panama City 2 to 3 months later. I would like to take in most, if not all or the countries that you have mentioned above but I really can’t pick where to start. Realistically the most northern I would start is Oaxaca but I think I am too afraid of missing out on locations. Am I being too optimistic about starting so far north and possibly leaving my self open to having to take many internal flights trying to get back within 2-3 months? Any advice would be a major help as it is the only thing stopping me from booking my flights! Well, this is a nice roundup for people planning to go to Central America for the first time. Despite concerns for safety in most places, most of these destinations look awesome and 5 days would not be enough to see everything. But then… the budget. Great post Marek, and I totally agree with your points on Nicaragua, it’s very underrated! I’ve spent the last few months in Central and I’d say Nica has been my favourite country by far. So much to see and do, and such an easy country to be in. 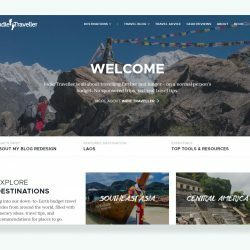 I’ve also just published a roundup of awesome website resources people might find useful for travelling around Central. Between them they’ve got everything covered that you’ll need to know while your here…bus time tables and prices, accommodation recommendations and more. Thanks for the post! A friend and I are flying into Mexico City and have a month to get to our return flight out of San Jose. We were thinking of going through Mexico, (maybe hopping over quickly to Cuba), travelling around Guatemala and Nicaragua before ending up in Costa Rica for our flight home. Does this sound reasonable? Or, too rushed? What would you recommend skipping to make it more relaxed? Hey Reddy! Hmm, it might be a little rushed. You mention 4 (possibly 5) countries, and counting about 1,5 days of travel time per country (assuming you’re travelling overland), you’re left with 5 or 6 ‘net’ days per country. Roads and transportation are not so good everywhere so things can move slower than in Europe or the States. Will you be travelling around Costa Rica as well or is that just where you fly back from? I’d maybe keep Cuba for another day (so you can see more than just Havana). Guatemala is amazing and probably needs a full week to sample properly. I’d probably choose between either Costa Rica and Nicaragua. Loved the post, I think everybody has pretty much covered how great it is. I was wondering how hard money exchange is from one country to the next? I found that it’s not too difficult to exchange currencies, but the rates can be bad sometimes, so I usually tried to use up my last cash before going to the next country. Thx for this awesome info, it really helped me plan my last minute Central America trip. I’m flying to Panama City and then heading north to Mexico. I will be in total a little bit more than 2 months there (January 23rd till March 29th). Do you think I could visit all 8 countries in these 9 weeks. Is this realistic, with budget around 2000 euro? I know schedule is tight, but I’m not sure when will I have chance to visit again Central America so I’m trying to visit all countries. According to places written, where do you think I should spend more\less time? Thx again for all this amazing tips, really helped me a lot! Thanks Marek!! Very useful and informative stuff, helped plan my backpacking trip. I’m traveling over 70 days around Mexico, Cuba, Costa Rica and Panama. Starting from Cancun to Panama. Great post and I’m awaiting the guide! I’m planning to travel central America in 60 to 75 days! I was wondering about crossing country borders, how easy are they? Another question was finding the buses that take you from major city to another. Are they easily found? The borders require a bit of patience sometimes but it’s not been too bad in my experience. Guatemala, Nicaragua, Honduras and El Salvador share the same 90 day visa. Costa Rica can be quite particular about entry requirements, such as proof of onward travel or proof of sufficient funds, so check those requirements carefully. Short-distance buses and minivans are super easy. Great site of yours! It has really been helpfull in my friend and I. We are two girls who are planning on traveling through Central America (Costa Rica, Nicaragua, El Salvador, Guatemala, Belize and Southern Mexico). We have set aside about 4 months to travel and we wanted know which countries we should spend more or less time in according to your recommendations? Also, do you have any safety tips? We have read a lot of stories about people getting their bags stolen, moneychangers cheating people for money etc. Furthermore, How much would you recommend is booked from home regarding stays, travel etc.? Or should we just take it as it comes to get the best experience? Hey Sarah! For what it’s worth, my personal favourites are Guatemala, Mexico and Nicaragua. They also lend themselves well to staying a bit longer. You can go to more out-of-the-way places, like Bluefields in Nicaragua for example. Safety-wise… yep, things do happen in Central America. Look after your belongings closely and be careful wandering around after dark particularly in Guatemala and El Salvador (when in doubt take an official taxi). This topic is too much to cover in a comment but I have some basic tips here and my book is very helpful as well in putting any concerns at ease. This is a great post and super informative! I’m doing some research on backpacking tourism, and we’re looking at literally every region you’ve just given tips on (never mind my personal travel goals). I thought your Your comment about subjectivity was really interesting, because What we’re doing is to better understand the attitudes/behaviors/perceptions of backpackers who travel through Latin America. Would you be willing to take a short survey about your travel experiences to touch on some of the things you didn’t cover directly in this post? Sure Francesca, you can comment or send me the link. Great article man! Defintely a massive help with planning my trip to Central America. I cant wait! I want to ask you: When you write that, for instance, cost of Panama can be 30 – 35 dollars a day. Have you here included visiting things like San Blas and Bocas del toro in your cost per day? Or is that just for hostels, food and so on. Thanks for the great guide. Really helped me. Great guide! Me and a friend are currently living in Mexico, and have already done a lot of travelling within the country. We have also visited Cuba, Guatemala and Belize so far. We were thinking of doing a ~20 days trip in late June/early July working our way through the mid and southern parts of Central America. Nicaragua, Costa Rica and Panama are absolute musts, while we have not yet decided on El Salvador and Honduras. 1) Would we able to do all of those five within 20 days, counting traveling days? I saw that you already state a preference for longer stays and fewer countries, so I should mention that we in general the other way around. We did for example go through Guatemala and Belize in seven days, and felt quite content. Would you say that those countries need more time than Guatemala and Belize, or about the same? 2) We would surely try to take buses instead of flying between each country. What’s your experience busing between the aforementioned countries? Any of the borders better/worse than others? From/to which cities is it easiest to find a bus? Any companies to recommend? Hey Peter. 5 countries in 20 days I suppose is possible, though then you’d have on average 4 days per country (maybe 2,5 or 3 days per country net, if you’re not counting travel time or working around local bus schedules). That probably limits you to one or two places max in each country. I know you said you prefer to go broad but I’d probably try to hone in on Nicaragua, Costa Rica and Panama as they make for a nicely compact circuit giving you more time to go sightseeing in each country. Nicaragua, Costa Rica and Panama are all a lot more packed with things to see and do than Belize which is quite small and which you can more or less ‘see’ in a day (at a quick glance anyway). Long distance buses (e.g. between capitals) are reasonably comfy and quick. For instance between Managua, San Jose, and Panama City there are good quality buses (like tour buses, similar to those in Mexico). Local buses can be a bit of a pain especially in Nicaragua/Honduras/El Salvador though – often these are slow and somewhat stressful chicken buses. Costa Rica has more modern and convenient local buses. This was huge! Thank you for helping me plan my trip from Santa Cruz to Costa Rica. 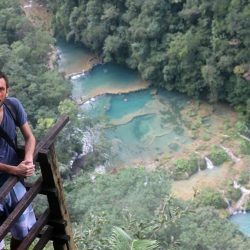 I’m backpacking Central America (Panama – Mexico) starting in a couple of weeks. I was just wondering if you’d had an experience with Corcovado National Park as I think it’s somewhere we want to visit but have heard it’s pretty difficult to get to. Any advice would be appreciated! Any recommedations on which time of year is best for doing the 1.5 months itinerary? currently an UK student so only get June-Sept as a long enough period of time. The weather is different per country with somewhat different high seasons. Try not to overthink it though. Even in rainy season I found it often barely rains at all. I travelled in Aug and Sept in Central America and was surprised to learn later that this is meant to be wet season (I only really experienced this in Belize – every other country was sunny and lovely). Is it required to book a return ticket when flying into Guatemala? I plan to visit in May but do not know how long I will be staying as I plan to visit other countries. Great article, thanks for putting that together. I found it very helpful. 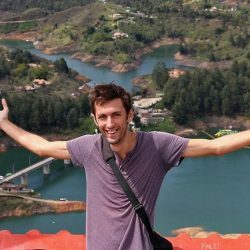 I will be travelling Central America from mid-February until mid-June but want to spend 3 weeks at the beginning of the trip surfing and working on my Spanish in one location while I wait for a friend to arrive to Costa Rica. I was thinking Puerto Viejo would likely be my best bet. Any input would be greatly appreciated. Haven’t been to Puerto Viejo – hoping to go back to Costa Rica at some point to see it. Maybe other people have some input on this! Can you tell me please, how many days i need to stay in each country ? for example, 10 days for each country is it enough? or not? thanks a lot, your post is awesome! Hah these questions are getting increasingly tough to answer as everyone has a different travel style and goals. Probably the best way is to play it by ear a little bit. Don’t book everything in advance, but go with the flow, and stay longer or move on depending on how you feel. What can you recommend? To visit most of the countries or to visit mexico,belize and guatemala and exhaust these countries? If you do that you’ll definitely get the full taste of Mexico and Guatemala. You’ll be able to take detours, follow tips from other travellers for cool places to see, and generally not rush so much. This is how I love to travel and so I’d say that’s a great plan, though I know some people are happier ticking more stuff off the list on a single trip. If you want to see wildlife Costa Rica is probably the best place to do it (better than Mexico/Guatemala), and Panama has some amazing islands. But in terms of culture, beaches, volcanoes, Aztec ruins, etc. Mexico and Guatamala will give you some of the best sights. Hi Marek, my wife and I have 2 months to travel from Mexico City to Panama, which averages 1 week per country. Reading you comments above 1 week per country sounds a bit tight. If you had to skip one (to two) countries to move at a slower pace which would you skip? Perhaps one has more of an overlap on sights and activities that we could do elsewhere? Thanks for such a useful travel guide! 1 week per country is indeed pretty tight. There’s an element of subjectivity of course, but I’d probably skip or spend less time in Belize and Honduras (as similar sights/activities things can be done elsewhere). I haven’t been to El Salvador… surfers love it for the waves though I know there aren’t a lot of ‘tourist sights’ there necessarily. From what I’ve heard El Salvador more about discovering local culture which can be tricky if you’re on a tight itinerary. Hi, I found your blog by Googling for general Panama prices. Am in need of a very cheap vacation and the flight there is cheaper than other parts of Central America, but it seems the daily costs would outweigh the ticket price. Thanks for the great summary. I actually stayed at Robert Broz Moran’s house in Suchitoto, so it’s funny to see his comment. Loved El Salvador, AND the off-the-beaten-track parts of Honduras :). I believe the reason Costa Rica is still showing up on these budget lists is because it used to be cheaper, and people are using old info for these “listicles”. OR maybe it’s just that the people writing them have a different idea of “cheap!” I went in 2004 and was hard-pressed to spend as much as $25/day…I realize that’s a long time ago, but this budget was achieved sleeping almost entirely in private rooms and eating in (local-style) restaurants rather than street food/bakeries. This route which i call the ‘Mayan Circle’ was a lot of fun with so many different things to see and experience. Being able to fly to Cancun and also end there was very convenient and cheap. It took us 4-5 weeks, i can definitely recommend it! SUch a f**kin awesome video!! this is such an AWESOME, inflormative blog! I’m new to the whole “backpacking” idea but i’ve had an urge to get out and adventure…so don’t laugh if this sounds stupid, but where do you stay while backpacking? hostiles along a trail or in the city? Hi Courtney! Mainly hostels and budget guesthouses/hotels, both in villages and cities. By the way, backpacking as a form of travel typically involves taking local transportation between places (buses, trains etc.) so the idea of a ‘trail’ is a bit more abstract than with hiking or trekking trips (where you literally follow a trail on foot). With travel backpacking you typically end up going from hostel to hostel (or hotel) and using those as a base for sightseeing and exploration. Im planning a solo backpacking trip through Central America. Im spending two months in Granada, Nicaragua where I’m volunteering through a non-profit company and then plan on backpacking to Merida, Mexico where I’ll do another volunteer project through the same company. I would like to go through Guatemala and spend some time volunteering there. I saw you mentioned some friends stayed and did that. Are there other ways to volunteer there besides doing it through a large company? Also, what would you recommend for the best method of transportation? Thank you!! My knowledge of volunteering options is fairly limited, sorry! Maybe another reader can comment on this. As far as transportation goes, for short distances you can use hop-on-hop-off minivans or local ‘chicken buses’, for longer distances there’s regular buses which are easy to book ahead the day before. There are small travel agencies everywhere selling these tickets, or you can get them through a hostel/guesthouse, or at the bus station itself. I am flying into Panama October 9th and then taking the Gringo trail North until I hit Mexico. Likely trekking until late November. Should I have weather concerns? Is this a less than desirable time to travel? Will I end up just being miserable and rained on the entire time? I travelled the region in these months and it was fine, apart from some sustained rainy days in Belize on the Caribbean coast, which I’ve heard is common there in these months. Everywhere else was basically sunny and nice. Really useful guide. Going through central america in a few months, starting in Colombia and sailing round to Panama and working my way up before heading to Cuba before flying back. Got plenty of useful tips! Hey there thanks for all the great info. Just wanted to double check i dont see you talking about resupply using mail drops. Are you able to hike through central America without using any transport and be able to resupply on food when needed? My brother and i are starting in oregon and making our way down to peru. Sorry, your question slipped under the radar somehow! Not sure as I only really have experience backpacking in Central America in the travel sense and not in the sense of trekking/wilderness hiking. I’m not sure if it’s possible to trek through self-sufficiently/unaided – maybe someone else can weigh in. Thanx Marek, great site! Good info! I started travel at 49 and can’t get enough. Was going to go back to SE Asia/India and see the places I hadn’t before, but am thinking of probably flying into Mexico City then going south until I run out of money or until I fall off of the end of Chile/Argentina…. plus Cuba! I’m thinking spring of next year. Thanx! t.
Hi Marek! Me and my partner are planning our first back packing trip together. We are going to start from Mexico(Cancun) then to Guatemala and Belize and either Costa Rica or Panama for 22 days. I just had a few questions. Is that long enough to see 4 countries? Should we head Costa Rica or Panama for the final leg before we fly back home to the UK? What advice could you give us with regards to keeping safe (as we do not know what to expect) as well as seeing the best sites? Hmm, that’s less than a week per country which seems a little tight. It’s up to you of course: some people prefer to see a few things in several countries instead of seeing more things in fewer countries. I personally really like the latter as you cut down on your time in transit (relative to time spent seeing things) and you get more opportunities to see interesting things besides just 2 or 3 main attractions in a country. Getting from Guatemala to Costa Rica or Panama takes a long bus journey. It’s probably 2 travel days to get there, so I would maybe not try to make it there and focus on Mexico/Guatemala/Belize. You could try flying but it seems like a bit of a detour. Hi Marek. Thank you for your reply. Sorry I should have mentioned that after seeing Mexico, Guatemala and Belize that we will take a flight from either Guatemala or Belize (whichever country we visit last) directly to Costa Rica. Also how easy/safe is it to find accommodation as we are first timers to this. What advice could you give us? 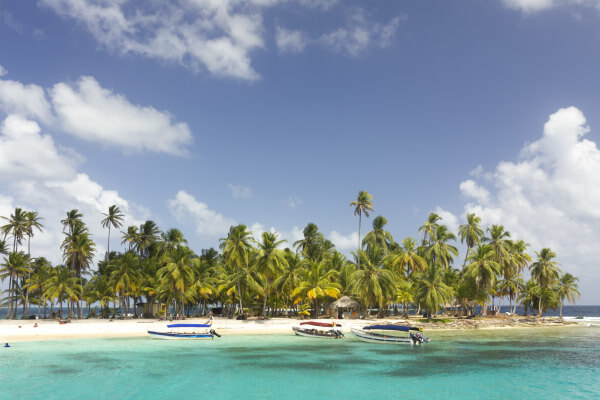 Are you planning island hopping in the Caribbean in the near future…..?? Thank you so much for this detailed guide. I have used it to plan my trip from Colombia up to Mexico and across to Cuba. Would you be able to point me in the direction on advice on money? I am not sure if I should bring USD to exchange in each country or British Pound Stirling? I will obviously bring bank cards with me but in general I was wondering how you managed your money whilst travelling through central america. USD and GBP are both easy to exchange, though USD is easier to pay for things with in a pinch if you don’t have local currency. I tend to take a bit of USD with me for emergency purposes but use bank cards primarily. A bit more detailed advice on this (pros/cons, banking fees, etc.) is in my book. thanks for such a quick response. Heading out today!! Anksfor the guide I have already asked one question but circumstances changed and I have another now! I am flying into Cacun, Mexico on Tuesday and will have a month to make it down to my planned flight aback home from Nicaragua on 17th April. Is this enough time? And is there anywhere I should avoid or cut short to spend more time? My main focus I reckon is going to be Guatemala, Nicaragua thanks! Due to certain circumstances I can’t make it to Costa Rica or Panama. I loved Guatemala, and I think San Pedro is a cool place to hang out a big longer! 1 month probably means you’ll have to keep pace a bit, but it should be fine. Nicaragua is quite compact (the part that has the most sights, anyway, they’re all quite close together) so here you could probably spend a bit less time, if you have to prioritize. This is very helpful, Indietraveller! Next school year (fall/winter 2015) my 13 yr old son and I plan to backpack through Central America for 2-4 months while he does virtual school, and I work on my travel blog. We want to do 2-4 weeks of Spanish classes on a budget and then make our way from Guatemala down to Panama (possibly Cancun since the flights may be so much cheaper). We will make time for volunteering, surfing lessons, snorkeling, a cooking class, and etc. Probably spending about a week in one spot and then moving on. Here are my questions: Do I have an safety concerns? Is it realistic to budget up to $50/day for both of us (staying in CLEAN hostels or budget rooms or 1 week rentals)? Can anyone recommend a cheap, quality Spanish school for adults and kids classes? Is it possible to find small paying jobs like in cafes or teaching English? Anyone have an itinerary suggestion? I’m ok skipping Belize and El Salvador. What’s the best and fastest way to get from Cancun to Guatemala? Hey Kristin! Sorry I didn’t spot your post earlier. Two questions I can answer quickly: personally I’d agree that $50 a day is a realistic budget. You can find budget rooms in hostels and guesthouses for around $15-20 a night that are clean and nice (but not luxurious). There’s two common routes from Cancun, one is to head down the coast to Chetumal, and then bus it to Santa Alena / Flores in Guatemala. There’s some great beaches along the way if you want to break up the journey. Another is to go to Palenque in Mexico and then head east into Guatemala. The Sanblas Islands are gorgeous. I saw them while sailing to Colombia from Panama (https://www.indietraveller.co/crossing-darien-gap-by-sailing/). But there are other ways to enjoy these islands. 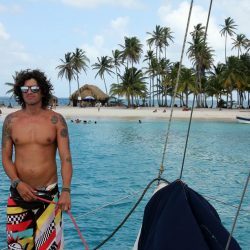 This site has some good info on San Blas: http://sanblas-islands.com. A lot of people I met stayed in Caye Caulker for 3-5 days or so, there’s enough to do there for a couple of days before moving on. I was looking at going to Central America for 3 weeks, do you think that is enough time to do Ncaragua, El Salvador and Guatamala justice? Any advice would be great! Hmm, good question. It’s always very personal and all depends on what you want to get out of your trip. 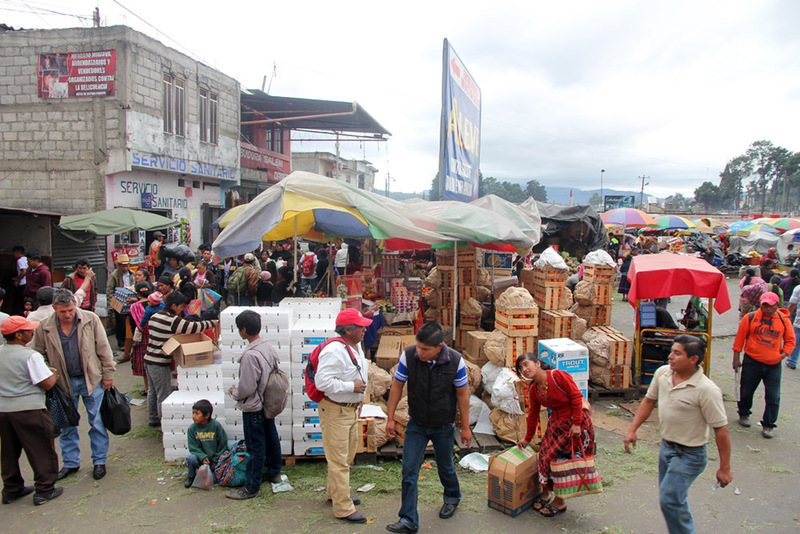 I would probably say to really take in much of Guatemala you need at least two weeks. That’s if you want to stay around lake atitlan for a bunch of days, soak it all up, etc. But then again, if you keep the pace up and you don’t stick around anywhere for too long you could certainly do 3 countries in 3 weeks. You’d just have to set priorities and leave some places/sights aside. Maybe it’s best to start with the country you are most eager to see, and then play it by ear. Great guide, lots of useful tips! Glad to hear! 🙂 A lot of travel info is of course inherently subjective, though I try to make these posts as useful as possible. Good to know it helped you guys out! Yes, of course! Actually, Luke and I had already selected which places we wanted to visit (a few of which are ones you had pointed out) but were struggling to see which routes through the countries would best connect them. We were struggling to decide on which Mayan ruins to stop at as well! whoops you missed El SalvadorCentral Americas smallest country and athough feared by many due to rants about the violence and gangs, definitely worth mentioning if not for a 3-10 day visit to explore. I am an expat from California, now living here for around 20 years. Many skip this tiny but by far most undiscovered and friendliest country in Central America. For travel links check out http://www.theotherelsalvador.com or write to me at rpbroz@gmail.com for help with itinerary and trip planning. You’re right to point this out! It’s the only country I missed seeing (though not for any particular reason, just circumstance) so I did not feel I could write properly about it. Your website seems very useful.